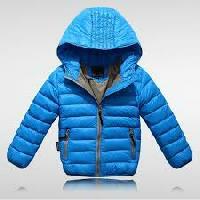 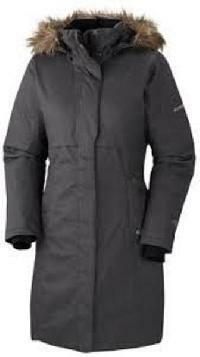 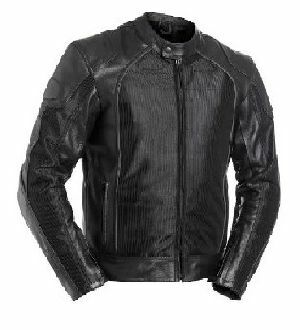 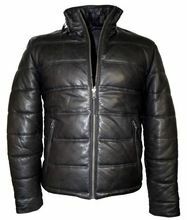 A high standard Duck Down feather filled jacket with quilted walls. 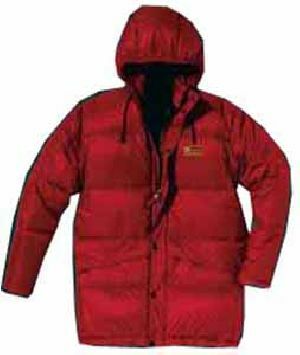 Tough 210 nylon tafetta used to construct this high altitude wear. 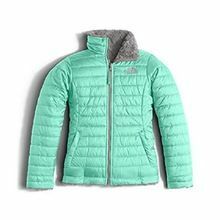 Features include detachable hood, full front zip with insulated front flap, two cargo pockets with hand warmers behind, elasticized hem and cuffs.